Taking certified nursing assistant training in Vermont will provide you with an opportunity to work in a variety of health care facilities throughout the state. There is now a huge demand for nurse aides, and becoming certified is a great opportunity to enter the medical profession. The current statistics predict that there will be at least a continuing demand for these health care workers until the year 2016 and so you can expect to find a job waiting for you once you pass the state competency examinations. There are now more and more patients who require the services of healthcare workers such as nursing assistants due to the lengthening years that people are now able to live by as well as the number of people who are sickly and require constant assistance with their health. Hospitals are now getting more costly so patients are now looking for alternative health institutions which can provide long-term care without the same cost or expenses. Nursing facilities and adult care centers are now becoming more and more popular with folks nowadays and they in turn are looking for more and more healthcare workers. What are the Job Duties of a Nursing Assistant in Vermont? 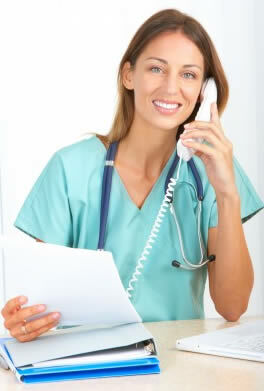 Nursing assistants are basically people who provide general or basic healthcare to patients. They bathe, groom and feed patients as well as support them in inculcating a patient’s right and independence. They also communicate to other medical personnel some important information regarding the patient such as respiratory and heart rate as well as body temperature or any important change in a patient’s health after intake of a particular medication. Where Can You Find Nurse aide Schools in VT? CNA training programs are now being offered throughout the state by several different schools and institutions. One can easily find one which offers a suitable fee as well as a more accessible location. Nursing assistant programs are the ones which can lead you to become certified and able to work long term in health care institutions in the state. The state requires such programs to have at least 75 classroom and clinical hours which will provide the student with the required knowledge and skills in order to effectively carry out such tasks once hired. If you are thinking of entering a certified nursing assistant training program, look for one which has been approved by the Vermont Department of Health. You can look up the list of these schools and institutions at the Vermont Department of Professional Regulation. Institutions which have not been approved by the state are not allowed to have their students take the state competency examinations. Some of the training facilities that offer such programs are the American Red Cross in Vermont which offers a 100-hour course; the Randolph Technical Career Center; Cold Hollow Career Center; Green Mountain Technology and Career Center which offers the course for $1200; and the Patricia A. Hannaford Career Center. There is no minimum education required in order to enter these programs. The average annual salary for a CNA in Vermont is about $27,000. What Are the CNA Requirements in Vermont? The state of Vermont requires at least 75 hours of training hours with at least 16 hours in clinical training. Subjects that should be included in the curriculum are communication skills, nutrition and diet, infection control, emergency procedures, physiology, medical terminology, and resident rights. Instructors should also be a registered nurse or a licensed physician with at least 2 years experience in the field of long-term care. You can read more about the different CNA certification requirements in Vermont by clicking here. After completing the program, the student may challenge the state competency exam which is conducted by Headmaster Technologies. The test is comprised of a written or oral test and a skills test and costs about $90. A student will be entered in the Vermont Licensed Nursing Assistant Registry if he or she passes the test.